Talgo was chosen by Latvian national passenger rail operator Pasažieru vilciens as the supplier of 32 electric multiple units. 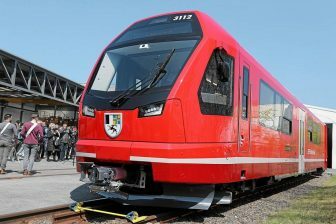 It is the first acquisition of the brand new trains in Latvia since 1996. The procurement, partly financed by EU, is worth 225.3 million Euros. The trains should be delivered between 2020 and 2023. Talgo will train the staff of Pasažieru vilciens and provide five years of maintenance, as well as supply the kits of spare parts in this period. The Spanish manufacturer also guarantees a 35-year lifespan of the trains. Pasažieru vilciens will use the 450-seat units on the electrified regional lines from Riga to Aizkraukle, Tukums, Skulte and Jelgava. The new rolling stock allows shortening the interval between the trains in rush hours. Pasažieru vilciens organised the procurement proceeding for the third time; the results of two previous tenders were not utilised. The first attempt was made in 2011 when Construcciones y Auxiliar de Ferrocarriles (CAF) competed with Stadler. 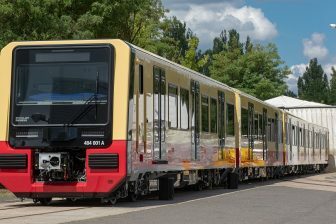 The second proceeding was held in 2014 with the participation of Hyundai Rotem and Stadler. This time, there were four participants: Talgo, CAF, the Polish subsidiary of Stadler, and Škoda Vagonka. Talgo won the auction by offering a bid of 20 million Euros more than its closest competitor. The bidders have a period of ten working days to appeal the decision of the Latvian operator. Pasažieru vilciens was established in 2001 as a subsidiary of the state-owned company Latvian Railway. Later, it was incorporated as an independent state-owned rail company to operate the regional lines of Latvia (the international trains to Moscow and Saint Petersburg remained under control of Latvian Railway). 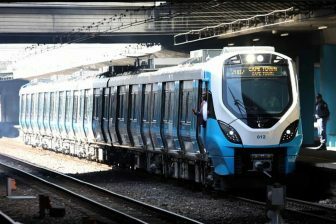 Its fleet consists of 131 electric multiple units (ER2 and ER2T) and 41 diesel ones (DR1A and DR1AM). All of them were built by Riga Carriage Building Factory (RVR) from between1960-1990. Pasažieru vilciens modernised its fleet in the 2000s, but has considered the purchase of brand new rolling stock ever since.